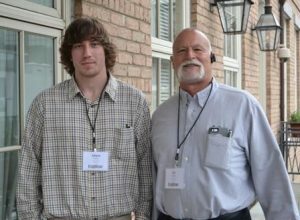 Under One Roof, like many of EcoStar’s rep groups, is a family affair. Ed Taylor and his son, Adam, have been working together for the last few years. Like anything else, working as a father/son team has its challenges along with its rewards. It takes discipline to separate the professional and personal aspects of their business, and working with family makes the highs higher and lows lower. But Ed has enjoyed watching Adam grow as he learns the business. What makes Ed and Adam such a great team? Maybe it’s that their differences complement each other. Ed and his wife, Robin, met at West Virginia University and were married after he received his MBA from Penn State. For the next two decades, Ed worked in the financial analysis/budgeting world before realizing he didn’t love being behind a desk. He started a manufacturer’s rep business with EcoStar as his main line, and it remains that way today. Ed and Adam, the pleasure is all ours!